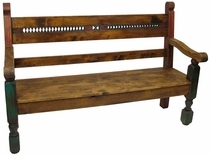 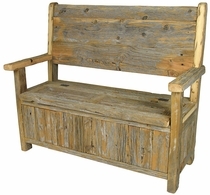 Find the Perfect Rustic Bench for Your Family Room, Living Room or Patio! 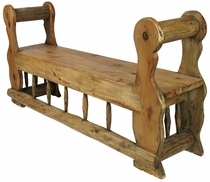 Our rustic pine benches are handcrafted from solid, kiln-dried pine and will create a casual rustic atmosphere in your living room, entryway or hall. 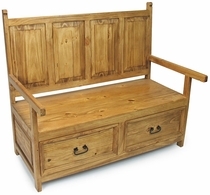 The Mexican storage benches are great for keeping rooms organized. 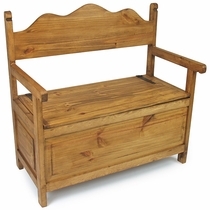 Store games, blankets, pet supplies and more. 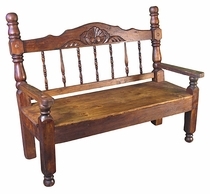 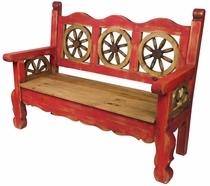 These rustic Mexican benches are perfect for any southwest, western ranch, or cabin decor.